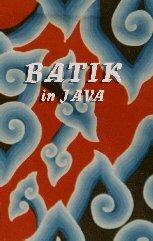 In Java a rich tradition of complex batik artistry grew up around the court life of the Sultans of Jogyakarta and Solo. Throughout Java this was extended and developed. It is still practised widely today both as a means of earning a living and to provide traditional daily costumes which are worn in Java and Indonesia. The film shows batik processes in the traditional centres of Jogykata, Solo and Cirebon, with footage of the Palace and Ramayana dancers dressed in traditional costumes. The complex waxing, dyeing and rewaxing processes, using both canting and block, are shown and explained in detail. Also included is the dyeing with soga brown and indigo.